... and launch whenever you're ready! Your donation is tax deductible! All donations to this charitable cause are collected by Jewcer, and donations exceeding the fair-market value of goods/services received are qualified under Section 501(c)(3) as tax-deductible to the extent allowed by law. 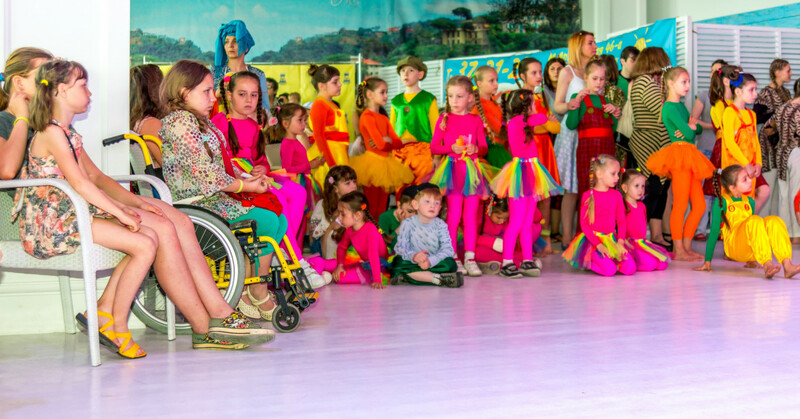 We, as a Jewish community center operating in Odessa region, work with all ages and all groups of members. Among them there are a lot of at-risk families and/or handicapped kids. They want to be as others, want to be part of a larger community but they still have special needs. And to help them be as happy as others we need special, additional budget which reduces more and more lately. This summer, as everyone will have vacation with their friends and families, we want these disadvantaged kids to also have a Happy Summer. But to make it happen we need YOUR HELP! One is a Shabbaton for 40 kids with special needs and their families. Another – is participation of 35 kids from at-risk families in the Summer family camp. For all these underprivileged children from Odessa and Southern Ukraine this would be unique opportunity to spend some time outside of their rooms, together with other kids and grown-ups. The budget we need is not enormous but impossible without your help. Swimming pool, master-classes, fun evening events and quality communication will not just be a nice time for them, but will help these at-risk families, these kids, to integrate more into society. If we want these kids to have a happy future we need to show them how happiness looks like! Without your help we will not be able to bring joy for kids that need it so badly. Please, show these kids that YOU care. Together we can make a Happy Summer For All!!! Среди участников Одесской еврейской общины много малообеспеченных семей и / или семей с детьми с ограниченными возможностями. Они хотят быть такими же, как и другие, хотят быть частью более крупного сообщества, но у них все еще есть особые потребности. Чтобы помочь слоям населения быть счастливыми, как и остальные, нам нужен специальный дополнительный бюджет, который все больше и больше уменьшается в последнее время. Этим летом, мы хотим, чтобы все дети имели счастливое лето. Но чтобы это произошло, нам нужна ВАША ПОМОЩЬ! Один из них – Шаббатон для 40 детей с особыми потребностями и их семьями. Другое – участие 35 малообеспеченных семей в летнем семейном лагере. Для всех этих детей из Одессы и Южной Украины это была бы уникальная возможность провести время за пределами своих комнат вместе с другими детьми и взрослыми. Бюджет, который нам нужен, не является огромным, но он непосилен без вашей помощи. Плавательный бассейн, мастер-классы, веселые вечерние мероприятия и качественное общение – это не просто приятность для деток, но и огромная помощь этим семьям, этим детям, интегрироваться в общество. Без вашей помощи мы не сможем принести радость детям, которые так нуждаются в этом. Пожалуйста, покажите этим детям, что ВАМ они важны. Вместе мы можем сделать счастливое лето для всех!!! "In memory of James Edward Davis"
"In memory of my grand parents"
Migdal International Centre of Jewish Community Programs unites Jews of all ages: from 0 to 120. "Migdal" is a JCC for Odessa Jews and for people worldwide. Today Migdal operates over one hundred programs in various spheres of Jewish life: Jewish education, culture and art; Odessa Jewish Musical Theatre “Migdal-or” (Klesmer, Israeli and Yiddish programs); The Jewish Museum “Migdal Shorashim” — a museum of history of Odessa Jews; "Migdal-Mazl Tov" early childhood development center and many others. 26 years of experience in Jewish education and we are not planning to stop! Huge thank you for your generous support! You're now officially part of our team! Please pass it on. Our deep appreciation and great Thank You! Keep up your great job as one of our team! Please pass it on. You get huge thank you and deepest appreciation from us. We'll THANK YOU on our Facebook page! Please pass it on. Our deepest appreciation to a wonderful friend you are! Thank you! You'll be mentioned as a SUPER CHAI friend on our website and Facebook page. Please pass it on. We think of you as a tzadik and our best friend! Our deepest appreciation and HUGE Thank You! You'll get the warmest welcome any time you visit us! You'll be named as our greatest friend on our website and Facebook page. Please pass it on. Don't see the amount you want to donate? Every contribution helps! 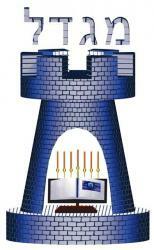 Help Us Fund Our Yom Haatzmaut Project for Spiritual and Environmental Awareness! Help us refresh and rejuvenate our Jewish community! Jewcer Community Funding, Inc. (“Jewcer”) is a California nonprofit public benefit corporation that has received recognition of federal tax-exempt status as a public charity under Section 501(c)(3) of the Internal Revenue Code. Contributions to Jewcer are tax-deductible to the extent permitted by law. Create New or Edit Existing Campaign? where you can choose which campaign you want to edit. Or you can decide to start over by creating a new empty one. Love hearing about exciting Jewish projects? 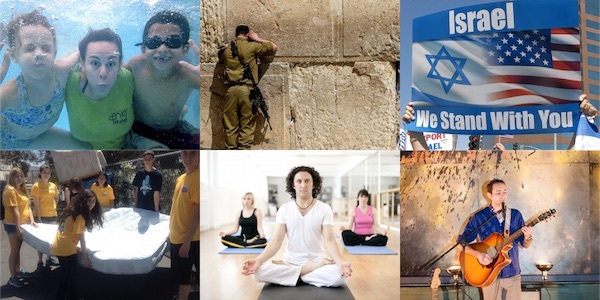 Stay in the know on Jewish initiatives that you can help turn into reality. Enter your email address below and we'll send you occasional updates about projects like this one. We look forward to telling you about exciting initiatives you can be part of. On average, 30% of online fundraising campaigns succeed on other platforms. Follow this guide that helped Jewish individuals and orgs raise over $4,500,000 and BOOST YOUR CHANCES TO 90%. Thank you! The guide is on its way to the email you provided (might take a few min). Please check your inbox (it might have landed in your spam folder so check that as well).